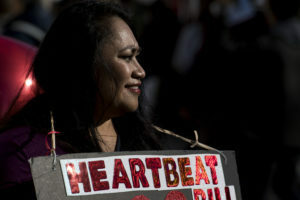 Lisi Reynolds holds a sign in support of the “Heartbeat Bill” during the March for Life, the world’s largest annual pro-life demonstration, in Washington on Jan. 19, 2018. Washington Post photo by Carolyn Van Houten. 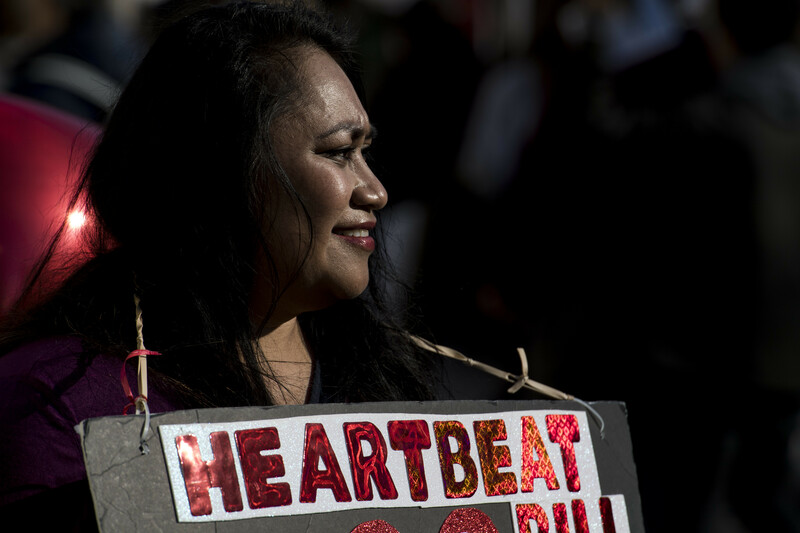 Lawmakers in several GOP-led legislatures have pushed “heartbeat bills” in hopes of getting the Supreme Court – including President Donald Trump appointees Neil Gorsuch and Brett Kavanaugh – to pick up a case that would challenge Roe v. Wade. In a surprise move earlier this year, Chief Justice John Roberts Jr. joined with the Supreme Court’s liberals to block a Louisiana law that would have restricted abortion access. In 2016, the justices struck down Texas abortion clinic restrictions, and in 2007, the court upheld the federal ban on partial-birth abortion; after the decision, more states began to pass abortion regulations.